One of the best parts of living in Tryon is the easy access to equestrian events. This is mainly due to the Tryon International Equestrian Center, a destination for equestrian events in North Carolina. Hundreds of residents from across the state come out for exciting events showcasing professional riders and show-stopping disciplines. If you’re an equestrian enthusiast searching for your new dream home, consider exploring Tryon. 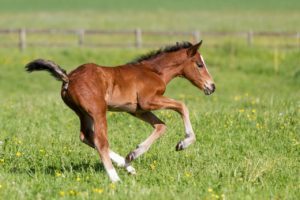 On top of being a phenomenal place for horse-lovers, it offers a little something for everyone in terms of its community. Here, you’ll discover lifelong friends and beautiful homes for sale. Have any questions about life in Tryon? Please contact us! We’re always happy to help. In the meantime, here’s a few of the upcoming events we’re most excited for! The Tryon Welcome begins on March 22nd. 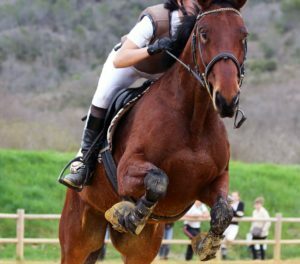 We’re in for a captivating season of equestrian events like jumping, races, and more. Let us know in the comments which event you’re most excited for! The Carolina Classic hosts a number of different events showcasing riders’ unique skills and expertise. We’re looking forward to the Fork at TIEC on April 4th, the WEG Vaulting Test Event on April 4th, and the Tryon Spring Dressage National Show on April 19th. The Block House Races on April 14th are held from 8 in the morning to 5 at night. This is one of our favorite equestrian events because it’s so exciting to watch. Will we see you there? One of the most exciting equestrian events, the Saturday Night Lights is a fun-filled showcase of jumping. It’s held in the George H. Morris Arena and is fun for residents of all ages. Come out every Saturday night throughout May! Have we convinced you that Tryon is the place for you? This incredible community is perfect for equestrian enthusiasts. You’re right around the corner from the Equestrian Center, and there are endless opportunities for outdoor recreation. If you’re interested in browsing Tryon homes for sale, or simply need someone to chat with about your real estate plans, please reach out to us! We’d love to connect you with complimentary home buying resources.